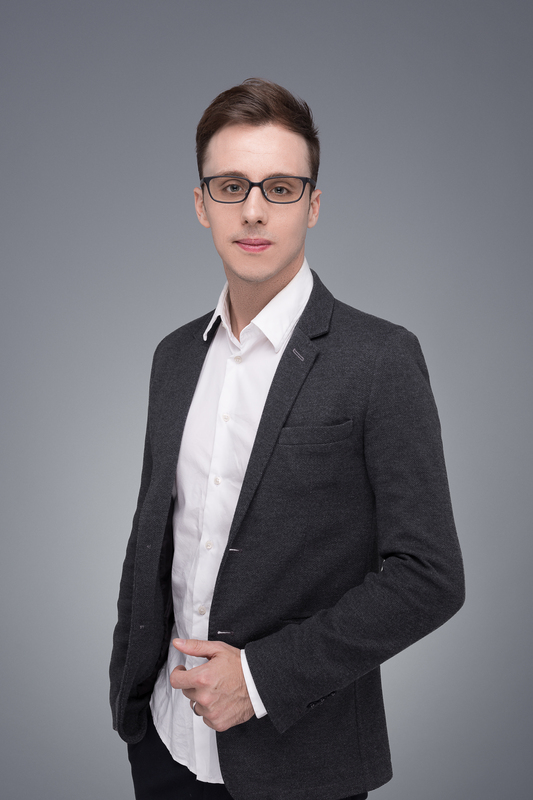 Our Alumni team recently interviewed Sam Duckett, who studied International Finance and Capital Markets with us in 2009, to talk about how he has successfully carved out a career as a radio presenter in China. “While studying at the University of Brighton, I spent a significant portion of my spare time studying Mandarin Chinese. After graduation, through a university connection with a fellow Brighton graduate, Dr Hong Lu OBE (Teaching English as a Foreign Language MA 1996 and Languages PhD 2007) at the London School of Economics (LSE), I was offered an internship where I had the chance to further develop my language skills. The LSE later arranged for me to sit a series of tests to examine my understanding of Mandarin and China. These test results led to me being awarded the opportunity to study for my masters degree in Chinese Language and Literature at Tsinghua University, with a full scholarship from the Chinese government. “Before embarking on my trip to Beijing, I also volunteered at the Chinese Educational Development Project (CEDP) in Brighton. During my time there, the CEDP Chinese Centre provided me with an opportunity to host the Chinese New Year event in both Chinese and English for over 2,000 people at Hove Town Hall. This helped establish my passion for working in a communications-related industry. “During my four years at Tsinghua, I took additional classes in trade economics, and spent two full semesters studying Japanese. Then, in my third year at the university, I found a position working as a guest host on a radio show called Talkbox at Beijing Radio Station. “I quickly realised how much I enjoyed working in broadcast media, apart from being really interesting, the field demands strong communication skills and I had the added challenge of having to do this in both Chinese and English. “Having completed my masters, I managed to secure a position as a radio journalist for the English Service at China Radio International (CRI). Despite my limited experience in the field, they encouraged me to learn the trade very quickly. I started off reporting on cultural and social issues in China; I conducted interviews in Chinese and then completed the translation work needed to produce English stories. Understanding the process of taking a story from its source to production is core to the skills of radio journalism. “I was given my own half-hour show covering the technology industry. Being from the technology generation, this a fun and fast-paced field to work in – despite another steep learning curve about planning and writing scripts for a complete show. During this time, I did several interviews with senior executives from Chinese technology firms and industry insiders. I attended the majority of press conferences held by some of the biggest Chinese technology companies including Huawei, Letv, Lenovo and Xiaomi. “Today, I am a full-time radio host for the English service at China Radio International, where I discuss the latest social news topics in China and analyse the Chinese perspective on what is happening abroad. 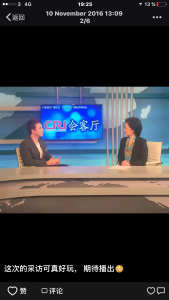 “CRI also has me presenting a popular Chinese talk show called the Foreigner Perspective, or Laowaikandian in Chinese. It is a three-person debate show with a Chinese mediator and two Chinese-speaking foreign panellists. As a result of this exposure, I now do regular TV spots and have worked with several major Chinese television networks including China Central Television, Fenghuang TV, Guangdong TV, and Beijing TV. 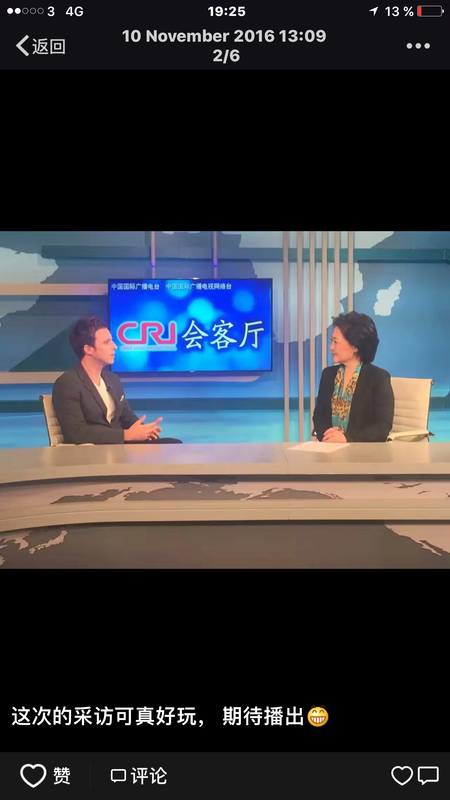 China Central Television recently selected me to represent the United Kingdom on a television show that covered the G20 summit held in Hangzhou. Tagged Careers, Graduates, International. Bookmark the permalink.